Following the successful format of last year’s inaugural 300 delegate conference, for the second year, Design Motive designed and staged the Group and divisional conferences at the Celtic Manor Resort. UK. The theme of the conference was Fixed. Focused. Ready for Growth. – chosen to align with the stage of the 5-year plan that IMI are in. This year the conference was extended to include a Best Practice Zone – a permanent exhibition space that displayed ‘pods’ from Group and all 3 divisions. A great way to share knowledge across the group in an interactive and engaging way. Design Motive designed the London Africa logo and kit. 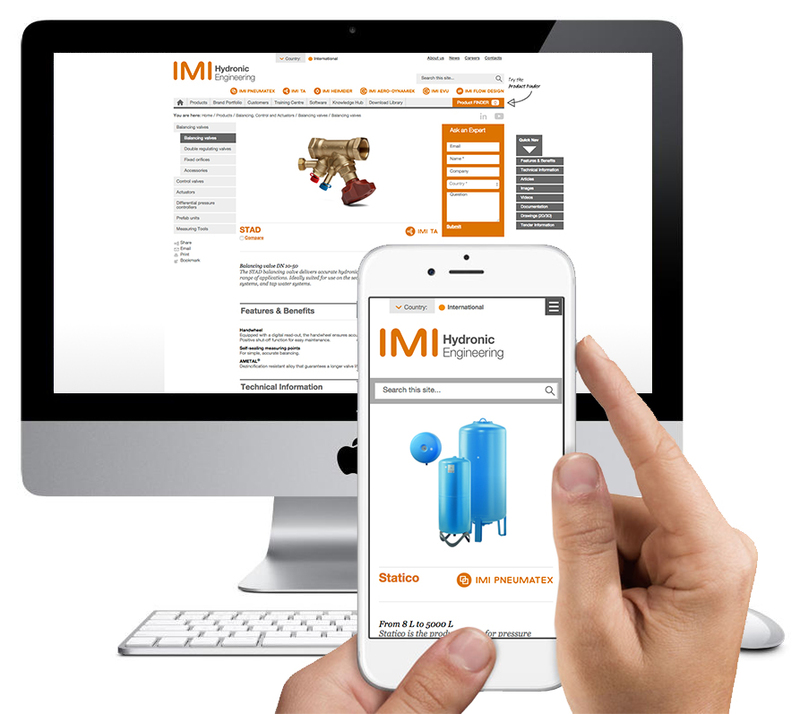 Design Motive have designed and produced the IMI plc annual report for the fifth year running. With an objective of ensuring strategy is presented consistently and clearly; navigation precise and intuitive; and positioning IMI's role in our world; the report ticks all the boxes. Design Motive brings EDF Energy and Amazon Echo together in an amusing and informative commercial. Working closely with EVS, Design Motive have created a new product brand identity programme to launch the new IP enabled technology. OLAM commissioned Design Motive to create a new visual identity for their mobile intranet, giving employees around the world field access to key news and announcements. The main purpose was to be able to communicate quickly and efficiently to a wide array of regions and individuals. Not only used on the App, the new identity was implemented across all social media UI. Design Motive deliver the IMI Group Management Conference 2017 to great acclaim. Clear messaging, dynamic graphics and engaging videos helped create an inspiring platform for this year's event. Design Motive enables hair care products manufacturer Percy & Reed's regional sales force to differentiate and accelerate sales, through clever positioning and a flexible message matrix. Each region responded to different brand attributes, so by providing a message matrix that allowed each regional sales person the ability to streamline their value proposition around regional parameters, meant the marketing messages remained consistent, but always relevant. Design Motive design and produce the new Vitec Group plc 2016 annual report for the 8th year running. The report represents a new approach and positioning for the group as it re-organises its business around it's key technology growth markets. The report benefits from the impactful layout of strategy with good linkage and signposting throughout; combined with clear and concise presentation of governance and financial results. Vitec Group plc is a leading global provider of premium branded products and services to the fast changing and growing “image capture and sharing” market. Vitec’s customers include broadcasters, independent content creators, photographers and enterprises. Vitec designs, manufactures and distributes high performance products and software including camera supports, wireless systems, robotic camera systems, prompters, LED lights, mobile power, monitors and bags. Vitec employ around 1,700 people across the world in ten different countries and are organised in two Divisions: Broadcast and Photographic. After 23 years in Wandsworth DM have moved to bright, new, shiny studios right on the river next to Plantation Wharf Pier.